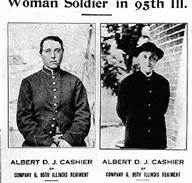 She enlisted during the Civil War, dressed as a man, was in Co. G 95th Infantry. She served a full three year tour fighting in Louisiana, Tennessee, Mississippi and the siege of Vicksburg. She continued her disguise as a man the rest of her life, receiving a pension and settling in Saunemin, Illinois. There she voted,would wear her Union uniform in parades and did odd jobs such as lamplighter, herder and janitor. Her “secret ” as a woman was discovered when she was hit by a car in 1910. She died at age 70 in 1915 and was buried in her Union uniform with honors at Sunnyslope Cemetery. Her one room house has recently been restored and now is on display in Saunemin. Was a Major (R) in the US Army Nurse Corp as an Anesthetist. 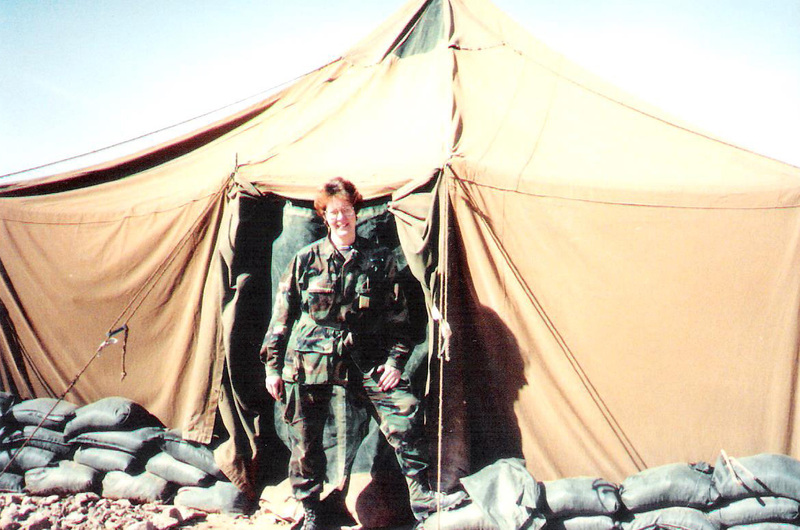 She served in Desert Shield/Desert Storm in Saudi Arabia from Dec 1990 to April 1991. Her other duty stations include these hospitals, Walter Reed, Brooke, Ft. Benning, Tripler, Ft Knox, and William Beaumont. Major Loomer was in the Army Nurse Corps. In 1991 she was stationed at King Kalid Military Hospital, Saudi Arabia for five months as night Operating Room Supervisor. There were many scud attacks, which required putting on gas masks and helmets. One came so close, that full, all protection gear was needed. This included wearing a charcoal suit with rubber boots over combat boots. Her description of her first time in Saudi was like landing on Mars. There wasn’t any vegetation and had many strange animals and insects. 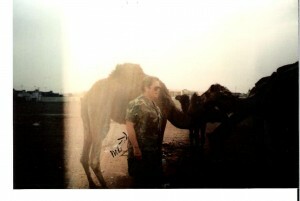 The camels did spit on people too. She fondly remembers the welcome home parade on her return. She retired in 2003. Shirley is also an Illinois State University, Normal, IL graduate. 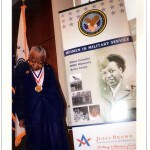 Bess served in the Army Air Corps during WWII from 1944 to 1945. 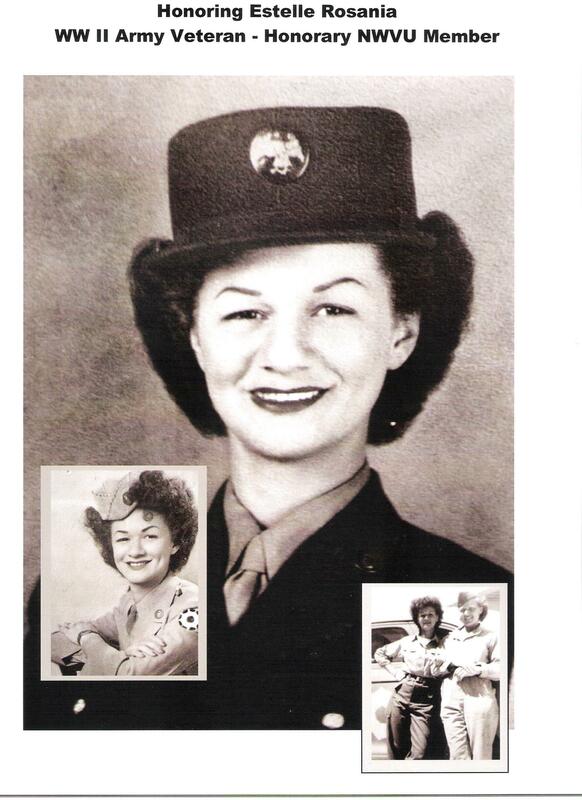 She was stationed at 104th AACS at National Airport Washington D.C. in radio communications. Some of her duties included relaying flight information to and from bases and sending baseball scores to soldiers overseas. Marilyn was in the Army from July of 1966 to July of 1987. She served as a surgical tech at Army bases in Germany, Alaska, Colorado, Georgia and Alabama. Stephany was enlisted with the U.S. Army Reserve from 1985 to 1992. 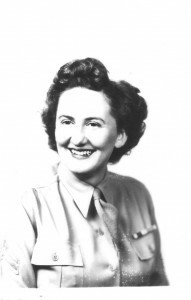 As a medical specialist she served with the 311th Evac Hospital in Minot ND. She served overseas in Operation Desert Storm with 311th Evac Hospital. In 1992 she joined the Illinois National Guard and is currently a Major. She is stationed in Peoria, with the 182nd Airlift Wing. She served overseas during Operation Enduring Freedom, with the 40th Air Expeditionary Group, as the comptroller. As of 2005 she was still in the Guard. Norma joined the Army Nurse Corp as a 1st Lt. She was stationed in Wales, Cheltenham, England. Her photo is with her patients at 62nd General Hospital, Ellenwood, England, 1944. In August 1944, she crossed the channel to France and on to the 1st Army Hospital in Paris .During different months of 1944 she was at hospitals at Cowbet and Eaubonne France, where the German’s were pushed back. In 1945 around September, she served at 365 Stationed Hospital and 77th Evac Hospital in France, and the 83rd Gen Hospital, Suippes, France. 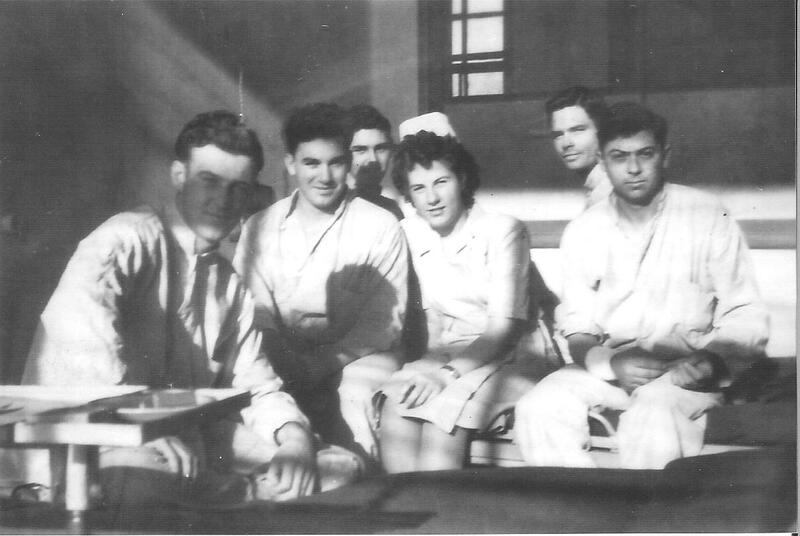 Sarah joined the Army Nurse Corps and was stationed in Persia from 1943 to 1945. As a 1st Lt. she was assigned to the 113th General Hospital. Her trip to Persia started from California, to Australia, than to India, where they transferred to a British ship that took them to the Persian Gulf. Their mission was to carry supplies to Russia. 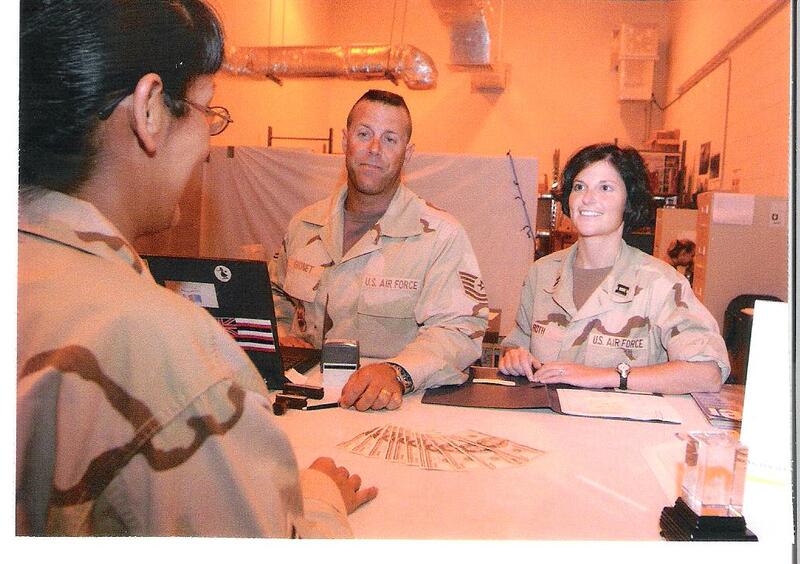 We were stationed in the desert and experienced many sand storms, usually right after inspection. She also met her husband, who was in the transportation corps. She returned home and was going to be deployed to Japan, but the bomb was dropped and orders were canceled. April joined the Army and trained as a medic. She was at Fort Sam Houston and Letterman General, San Francisco, Ca. During her time in boot camp, electricians and MP’s came into the barracks to remove all telephones. They were required to have duffle bags packed and lockers empty. It was the Cuban Missile crisis and if there was war, they would be sent to a duty station and be learning on the job. During the Vietnam War, men and women in uniform were treated terribly by some of the public. April was going home on leave, by train, in full dress uniform to meet her dad. When she transferred from Chicago to home, there were classmates on the same car. Needless to say they were ugly and offensive. 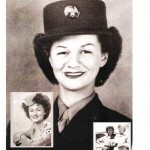 Doris was a veteran of WWII. 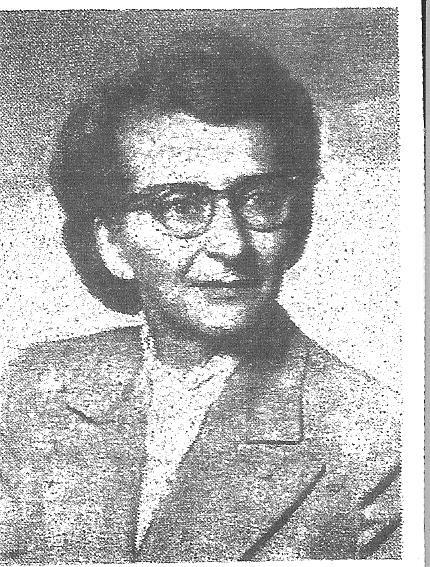 She joined the Women’s Army Corps and served in army intelligence, advancing to the rank of Captain. She is sponsored by Anan Harmon Chapter of the Daughters of the American Revolution. Doris was a Glenbard West English teacher, raised two daughters, and served in several chairmanships in the Anan Harmon Chapter. Scarlett joined the Army National Guard in 2001. She was assigned to the 1174th Transportation Company, where part of her training was at Ft. Campbell, Ky. She served in Iraq from Jan 2003 to March of 2004 driving 931 and 818 tankers of fuel and other supplies. During her time in Iraq, she attended a USO show staring Wayne Newton and Cheryl Crow. 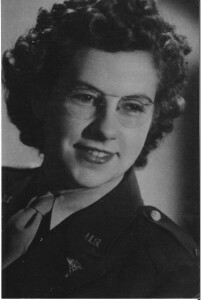 Enid was called Kate and joined the Army from 1942 to 1945. Her sister Joyce Winnings Collum is her sponsor. Kate was assigned to transportation and was the driver for high ranking officers. Dianna is a major in the United States Army Reserve, serving at Fort Sheridan, IL with the 330th Medical Brigade, 2003 to present. Constance is a retired colonel of the Army Nurse Corps. 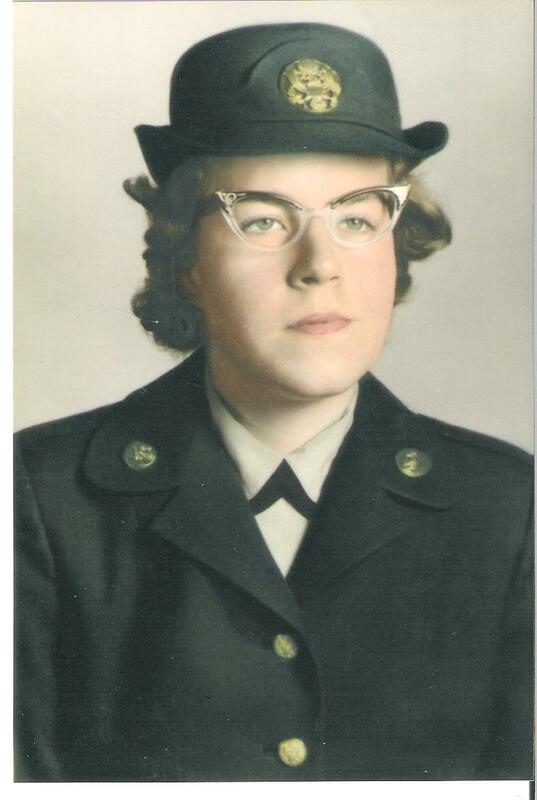 She served at Beaumont Army Medical Center 1966-67, 24th Evac Hospital Vietnam 1967-68, Fitzsimmons Army Medical Center 1968-70, 801st General Hospital 1970-89, 30th Hospital Center as chief nurse 1989-93 and Control Group chief nurse 1993-96. Ethel is a WWII Army veteran. 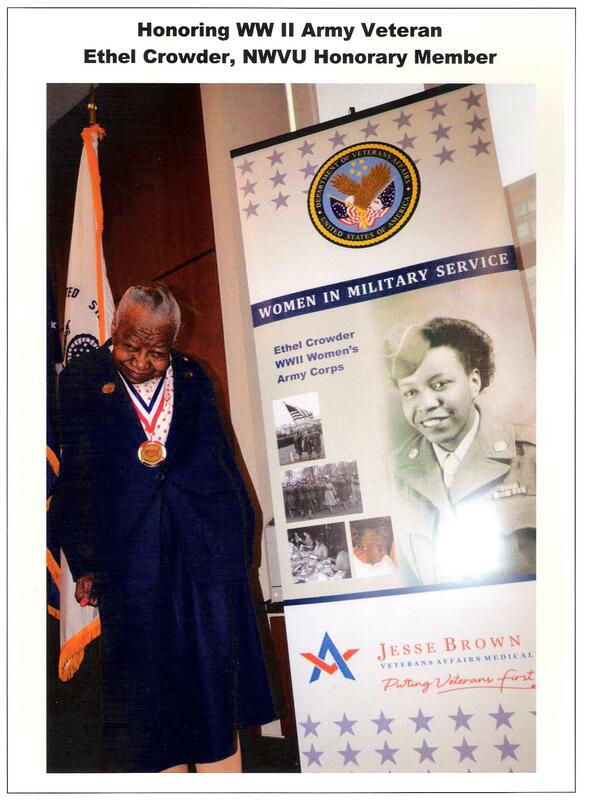 She served with the Army Postal Service in England and France 6888 Postal Battalion, February to September 1945. Estelle is a WWII veteran and was a sergeant in the Army as a medic. Over the three years, she was stationed in Iowa, Oregon and California. While in California, she was assigned to the German Prisoners of War camp.